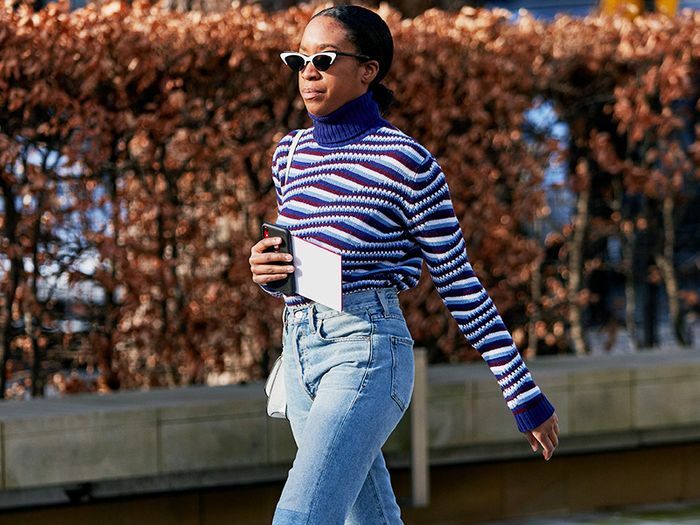 It’s the not-so-secret outfit formula that knows no bounds and that’s been uttered across WhatsApp groups, Facebook groups and group chats, for years: jeans and a nice top. It’s the gift that keeps on giving, and the reason it’s so prolific is that it’s versatile, easy and dependable. With spring just around the corner, it feels like the perfect time to revisit one of our wardrobe favourites. Not only is a nice top and jeans a combination for transitional weather (something us Brits are certainly familiar with), but it’s also acceptable attire for roughly 85% of the year. This is why it’s no surprise that the pairing has also been proven as the cool girl’s go-to for smart and casual dressing. From dinner dates to nights out, there are few style dilemmas in life that it can’t solve, and as such, a host of online retailers have dedicated whole shopping sections to the infamous style duo on their sites. Whatever your budget, this season, there’s definitely a fancy top (or 14) for everyone, and we’re sure that you’ll have them on rotation through spring and beyond. 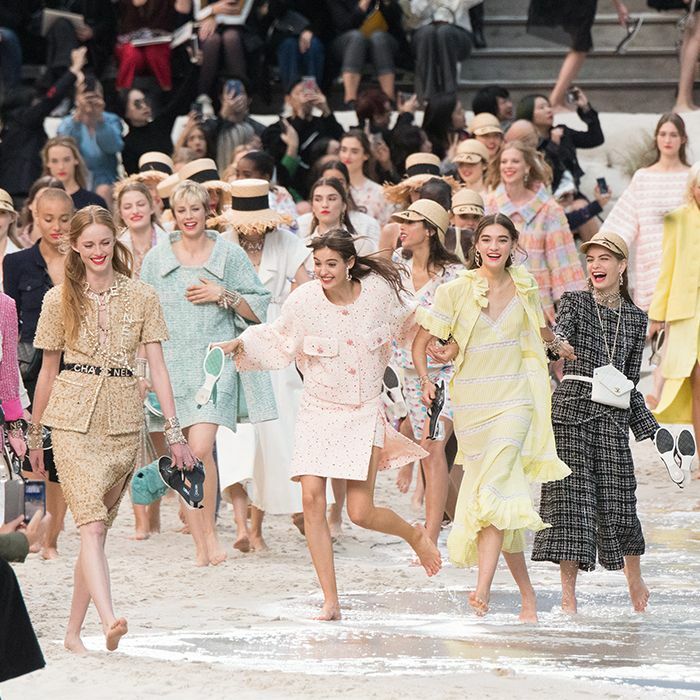 Here are our top picks from & Other Stories, Topshop and more that we’re so here for. A floaty floral top is a spring essential. Just add white denim and super-strappy sandals. Take on two trends in one with a square neck, puff-sleeved iteration. We can always rely on Zara for statement styles. Keep it chic in this white button-front blouse and pair with slim-fit, ankle-grazing denim and mules. Leopard print isn’t going anywhere. Another season, another perfect party top from Nanushka. Smocking is everywhere right now, and we think this is the perfect way to wear the trend. This is ideal for tucking into high-rise jeans. Wrap styles are incredibly flattering on the waist. This is your day-to-night option. Ganni’s gingham prints are getting us seriously excited for summer. If statement shoulders or power prints aren’t your thing, try something with subtle detailing instead. Perfect with dark-wash denim and ankle boots. 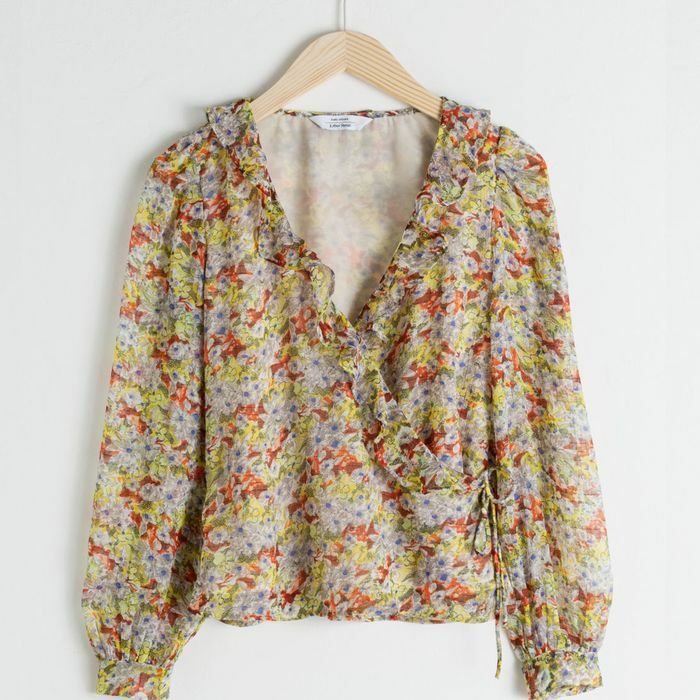 How chic is this Cecile Bahnsen top? All about the detail of this tulle option. Add cropped flares and a beaded bag and you’ve got date the perfect date-night outfit. Your ’70s dream can become reality just by adding a pair of any wash of flares.